Katherine Compton Pope is licensed Realtor and excited to be a part of the Twin Rivers Real Estate team. With a background in construction and interior decorating she brings a unique perspective to the real estate table. Katherine's singular grasp of what people are looking for in a home combined with her fun and detail oriented style, make the property buying or selling experience a pleasure. Having been "on the other side of the table" as a both home buyer and an investor Katherine can walk you thru any real estate transaction with a true understanding of all the working parts. 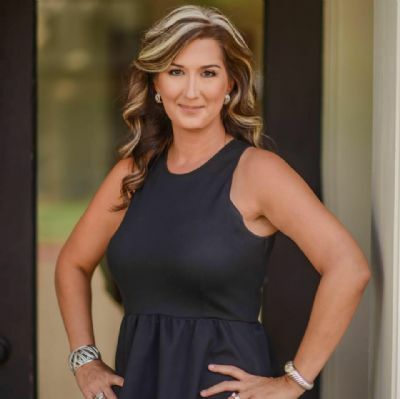 Katherine is currently a member of the Coastal Bend Board of Realtors, the Texas Association of Realtors, the Texana Arts Council and writes a weekly Lifestyle column for the Jackson County Herald Tribune. She served as a member of the Board of Directors of the Jackson County Chamber of Commerce, is a Past President of the Edna Rotary Club and was named a Paul Harris Fellow. She has also previously served on the Board of Directors of the Victoria Bach Festival, The Victoria Ballet Society and is a former Junior League member. She served as the Chairman of the Children’s Area at the Victoria Chapter of the American Cancer Society’s of the Relay for Life. Katherine was also a dedicated Red Coat Ambassador for the Victoria Chamber of Commerce and volunteered on their Beautification Committee. She and her husband, William, live in Jackson County where he operates W.P. Construction. Finally, and most importantly, Katherine is the proud mother of two grown children, Caroline and Carter.